75 million Americans are ApoE4 carriers, putting them at increased risk for Alzheimer's disease, and another 7 million carry two copies of ApoE4, making their chances of developing Alzheimer's 10 times as great. A study from the Buck Institute and UCLA explans why a particular genetic form (allele) of apolipoprotein E (ApoE) poses the most significant genetic risk for Alzheimer's disease. Researchers examined the lipid-binding ApoE4 in an entirely new light, showing that it is a transcription factor that enters the nucleus and binds DNA with high affinity, including the promoter regions of 1700 different genes. Seventy-five million Americans are ApoE4 carriers, putting them at increased risk for Alzheimer's disease, and another 7 million carry two copies of ApoE4, giving them an even higher, 10 - 12 fold increased risk of developing Alzheimer's. "When the genes whose promoters bind ApoE4 are considered in functional groups, their relationship to Alzheimer's disease is striking. ApoE4 targets genes associated with sirtuins and aging, insulin resistance, inflammation and oxidative damage, accumulation of amyloid plaques and tangled tau among others. This provides a roadmap for what is essentially a 'unified theory' of Alzheimer's disease." - Dale Bredesen, MD, Buck Institute faculty and a professor at the Easton Laboratories for Neurodegenerative Disease Research at UCLA. "Our group hopes this work will lead to a new type of screen for Alzheimer's prevention and treatment. We are also designing and engineering novel drug candidates that target not one, but several of the ApoE4 mediated pathways simultaneously. Ultimately we want to develop a drug that can be given to ApoE4 carriers that would prevent the development of Alzheimer's disease, and these results provide a mechanism and screen to do that." - Rammohan Rao, PhD, an associate research professor at the Buck Institute. "This is an exciting, unexpected discovery that should be of great interest to neuroscientists. The fact that a lipoprotein in the blood is also a transcription factor that directly controls gene expression makes it an important factor across the lifespan." Finch, who was not involved in the research, studies the evolution of the human lifespan and diseases of aging, especially Alzheimer's. 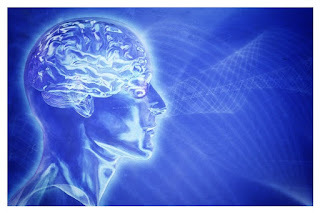 "There is a lot of major work that needs to be done, both within the Alzheimer's field and within general molecular biology - now that APOE has been identified as such a major player." - Caleb Finch, PhD, the ARCO/William K. Kieschnick Professor in the Neurobiology of Aging at the University of Southern California. The study was done using a combination of neural cell lines, skin fibroblasts from Alzheimer's patients, and ApoE targeted mouse brains, and utilized chromatin immunoprecipitation and high-throughput DNA sequencing (ChIP-seq). The work followed a 2013 study by Bredesen and Rao, along with geneticist Veena Theendakara, which showed a connection between ApoE4 and Alzheimer's via the anti-aging protein Sirtuin1 (SIRT1), the same molecule whose activity is enhanced by resveratrol, an ingredient in red wine. The presence of ApoE4 triggered the reduction of SIRT1 both in neural cells and in the brains of Alzheimer's patients with ApoE4. How ApoE4 triggered the reduction of SirT1 was not explained in that study. "These results offer an exciting new possibility to design therapeutics that would block the coordinated action of these 1700 ApoE4-associated genes in their Alzheimer's risk induction, and such an approach is now underway," said Bredesen.